Been a long time since I’ve posted here. Yes, I’m still alive. Yes, the blog is still alive. In my mind, anyway, even if I haven’t posted in a while. A death in the family and tending to family matters left me with not much time or energy for writing here or anywhere else. But things are getting better and I hope to be back to at least semi-regular writing and blogging soon. In the meantime tomorrow is a very special day for me: the feast day of Our Lady of the Rosary. 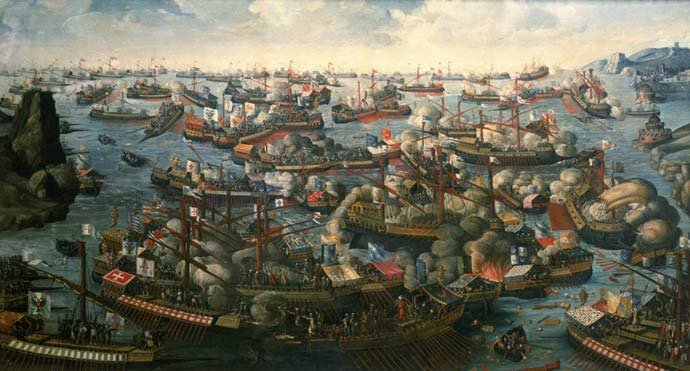 If you aren’t familiar with the story of the Battle of Lepanto and the role of the rosary and the Blessed Virgin Mary in that battle, you can read more here and here. Since the HHS Mandate was foisted upon us, I’ve been told many times that I can be a Christian all I want…as long as I keep it to myself and limit it to worship inside the church building. But is that what it means to be Christian? Yes, worship on Sunday (or daily for those who go to Daily Mass) is part of being Christian. But can we reduce Christianity to that one hour on Sunday (or seven hours a week for the Daily Mass attendee)? For me being Catholic Christian is what I am at the very heart of my being. Catholicism shapes my thoughts and desires and I seek to live my faith through every moment I am alive; even when I fall short of that goal, the goal remains. Saying that I’m free to worship in the church building on Sunday but not free to live according to the teachings of Christ and His Church is absurd. The whole point of attending Mass and receiving grace in the Sacrament of the Eucharist is to be enabled to bring the light of Christ out from within the gathering and into the world where darkness reigns, for Christ to act upon me and make me into a new creation, to fill me with new life. A participation in His Divine Life. But what I’m hearing from various people is that I should keep that light within the sanctuary, that it has no place out in public where — horrors! — someone might see it! I don’t demand that others be Catholic Christian. I don’t demand that they talk about atheism in the privacy of their homes but never around me. I listen to atheists preach at me nearly every day of my life. They witness to me, they evangelize me, they try to convert me. I fully expect them to come to my neighborhood, knocking on doors and inviting folks to the local atheist potluck supper and tent meeting any day now. And will I tell them to keep their un-worship to themselves? No! I won’t! Truth is, I ‘d like to see what kind of party they throw. I might even take a covered dish. EWTN’s The World Over focused last week on the HHS Mandate, not surprisingly (see video below or watch on YouTube). 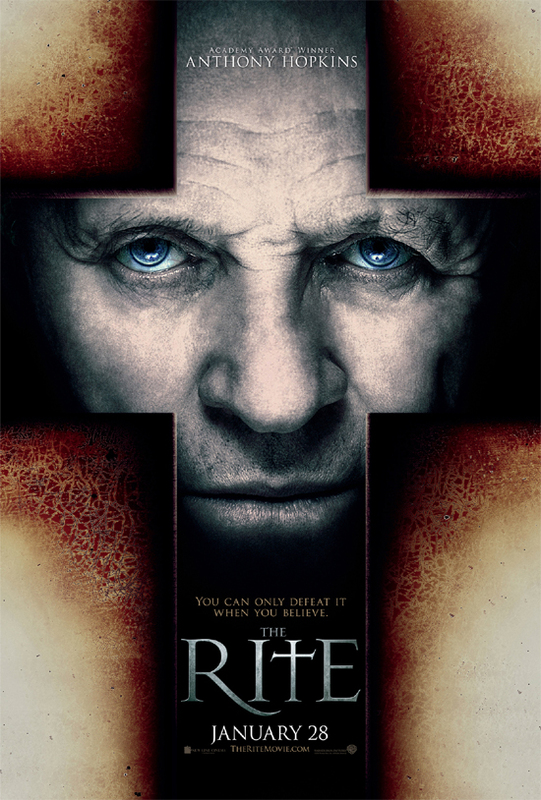 I finally got to watch it tonight (as I type this, as a matter of fact). Make no mistake: this is not merely a Catholic issue. Everyone’s freedom and liberty and right to conscience is about to go out the window if this mandate is allowed to stand. Goodbye, Liberty, Hello, Brave New World. Unless we stand up and speak out and say NO NOW! If you don’t want to listen to the Newt Gingrich segment, watch the first segment with Michael Warsaw, CEO of EWTN which is suing over this outrageous mandate, and then fast forward to Fr. Sirico of the Acton Institute, and then watch the Rep. Chris Smith segment. Then learn more and share all of this with friends and family. United we can make a difference! I haen’t seen a movie in a theater since “Sherlock Holmes” was playing. But tonight I splurged and went with friends to see The Rite. I’m going to wait until I’ve had a little time (to think, read, pray, pray, and, oh, did I mention, pray?) before I try to write a more in-depth review. I want to do justice to this film. My first impression? It’s good. I want to see it again. I’ve been doing some research tonight and downloaded the book. Look for the actual review in a couple of days (give or take one or two). In General: 5 Stars for a Ripping Good Romp That Made Me Jump (for scaring the you-know-what out of me and making me throw my popcorn on the ladies in the next row). Representing Catholicism: 4 Stars and Better Than I’d Expected (and the priesthood was unexpectedly respected!). Taking Evil Seriously: 5 Stars for The Conversations and Soul-Searching Provoked (and inspiring me to an even deeper commitment to resisting the devil and his culture of death with all my heart and mind and to my very last breath).